Looks like u would need a tree faller to prune that one,very impressive ! Wow! Looks like it is reaching for the sky. I’ve always wanted a Queen Victoria agave…. Love the white outline around all the leaves. Whoa! 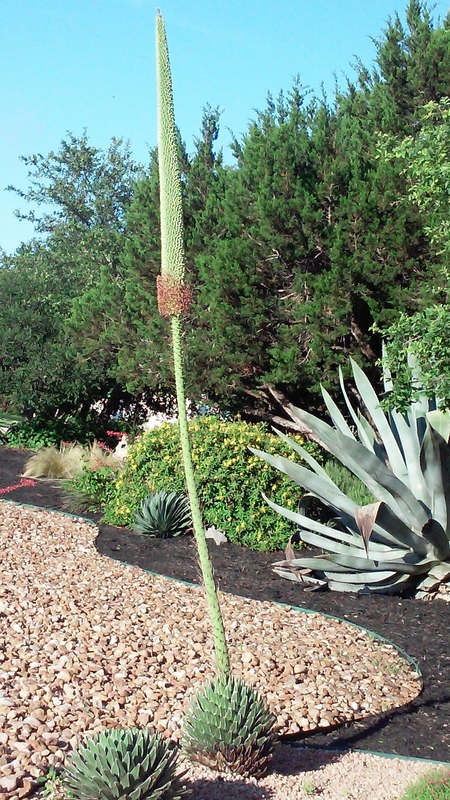 I had no idea that such a relatively diminutive agave created a flower spike that tall. I hope she produces some offspring. So pretty that it almost makes it worth it to see them go.